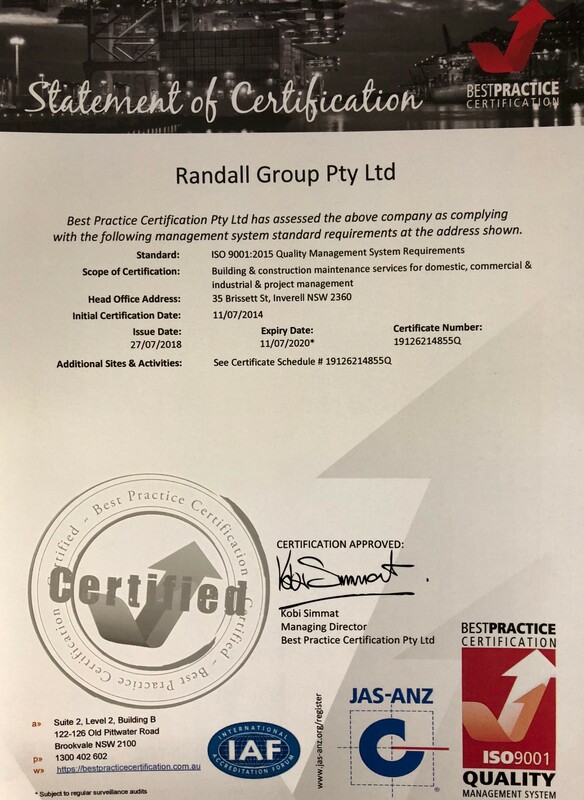 The Randall Group Quality Management System has been established and implemented to ensure we apply resources in a productive and cost effective manner to achieve our stated goals for our overall company objectives, as well as exceeding customer satisfaction for individual projects. 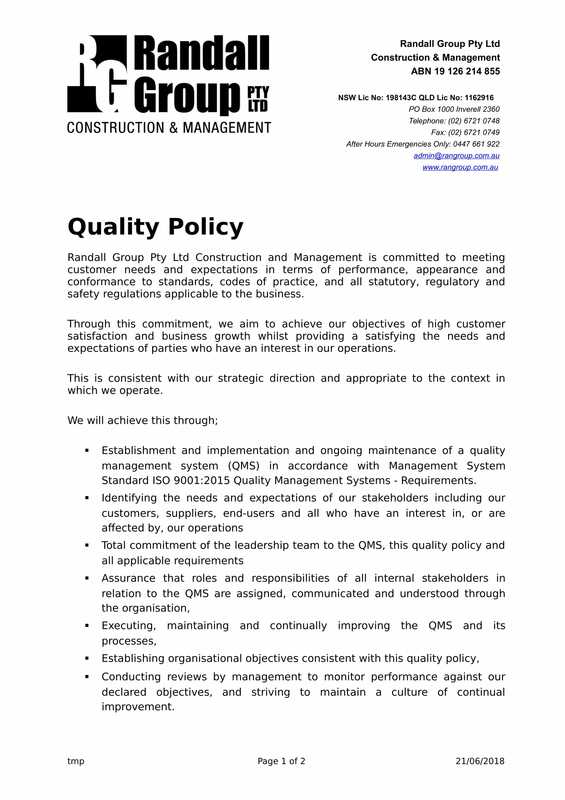 Implementation of the system helps Randall Group to control business processes and deliver quality projects. 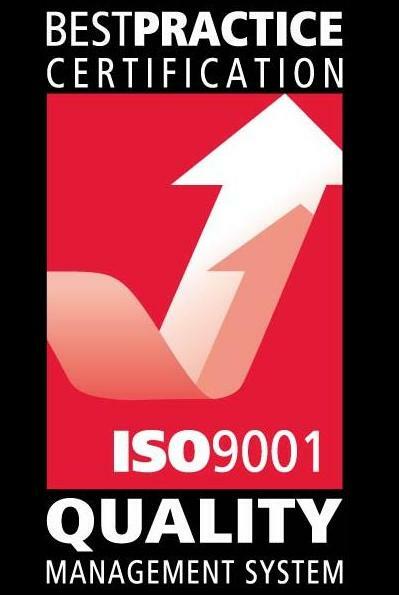 Our QMS has been independently audited and certified to the International Organization for Standardisation (ISO) 9001:2008. 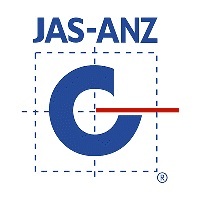 This is an ongoing process repeated at regular intervals for the purpose of recertification to ensure that our quality standards are maintained at the highest level.